Over the last 5 years, BASI has been going through an alignment process with the University of Edinburgh to align BASI Qualifications with the Scottish Credit and Qualifications Framework (SCQF). The aim of this exercise was to have a nationally recognised scale to which BASI qualifications are aligned. This will give Members, potential employers and institutions an idea of the level of learning that BASI Members need to complete to achieve a qualification. It also allows members to compare the level of learning they have achieved against other aligned qualifications (such as university degrees, etc.). More Information regarding the aims and benefits of the SCQF can be found here. The Scottish Credit and Qualifications Framework has 12 levels. The different levels indicate the level of difficulty of a particular qualification. In addition to a level, qualifications are also allocated credit points. 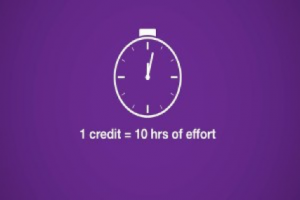 Credit points are a way of showing how much time it takes, on average, to complete a qualification or learning programme. Credit points are specific to the SCQF levels; you can’t add points together from courses at different SCQF levels. In some instances, it may be possible to transfer SCQF credit points to other learning programmes to ensure that a learner does not have to repeat any learning they have already undertaken. Universities and colleges, SQA and other awarding bodies decide how many of the credit points already received from previous learning can be transferred into their programmes. In all cases of credit transfer, it would be the decision of the accepting learning institution as to how many credit points could be transferred. Qualifications are aligned to the Scottish Credit and Qualification Framework which itself aligns to the European Qualifications Framework (EQF). The EQF enables the learners, learning providers and employers to compare qualifications between different EU national systems. This is thought to help increase mobility in the EU labour market within and between the EU countries because it makes it easy to determine a person’s level of qualification which in turn will improve the balance between demand and supply of knowledge and skills. We currently have 15 courses/modules aligned with the following ratings. There are 8 more BASI courses due to be added to the SCQF by October 2017. Can my aligned BASI Qualification be used to access higher education? This would be at the discretion of the institute where you intend to study. We recommend that you include your qualification and mention the SCQF level and credit points achieved in your application. BASI Qualifications cannot replace a degree, however, if you plan to study a course with similar content to that of a BASI course you have passed, you may be able to transfer credits. Yes. Some employers now refer to qualifications at particular SCQF levels in their job adverts allowing them to recognise a variety of relevant qualifications and skills which would have otherwise been difficult to detail in a way that is meaningful and easy to understand. I completed my qualification a long time ago, is it still aligned? Alpine level 1 and 2 qualifications are aligned if completed after 1 November 2008. Level 1 and 2 qualifications from other disciplines are aligned if completed after 1 May 2009. If you have any questions about the SCQF alignment, please email dave@basi.org.uk. Next Post How do you tackle the ISIA Level 3 exams?